The Bureau of Western Hemisphere Affairs (BWH) staffs and operates US embassies and consulates throughout the Western Hemisphere. BWH staff implement US foreign policy by negotiating with representative of foreign governments, meeting with foreign economic and political leaders in and out of government, coordinating various types of US foreign aid, and preparing groundwork for visits between higher US officials and foreign representatives. BWH also has a planning staff, which formulates policy toward other nations in the Western Hemisphere, subordinate to the Under Secretary of State for Political Affairs, the Secretary of State and the President. The State Department first had a Department of Latin American Affairs in 1909. The position of Assistant Secretary for Inter-American affairs was created in 1944. 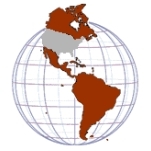 Following a reorganization in 1949, Inter-American Affairs attained Bureau status, along with Bureaus for other parts of the world. In 2001, the Bureau was renamed Western Hemisphere Affairs. BWH operates 51 embassies and consulates in 31 countries in the Western Hemisphere. At these foreign sites, BWH staff act as official representatives of the United States government, with an ‘open door’ (after security check) for US citizens wanting assistance in business and other affairs in the foreign countries, and for foreign citizens wanting assistance in business with US companies or in obtaining entry to the US. Embassy and consular staff also meet with representatives of the host government and of other political and civic groups in the host country, and also with the foreign press to explain US policy and actions. BWH coordinates the delivery of US foreign aid to the host country, and facilitates the activities of other US government agencies, such as the Department of Defense and Drug Enforcement Administration, in the host country. BWH foreign service staff also reports on political events and economic conditions to policy makers in Washington. The US representative to the Organization of American States (OAS) is a BWH official. The Assistant Secretary is a public figure, making statements to the American press and regularly appearing before Congressional Committees. Within the State Department, BWH is responsible for formulating and implementing US policy toward nations in the hemisphere, though higher officials in the State Department and in the White House have the authority to overrule BWH’s decisions. The policy of funding opposition with the intent of ‘liberating’ nations with anti-US regimes, such as Cuba, and isolating these nations diplomatically through the OAS and commercial pressure, did not start with the Bush administration. The strategy dates from well before the Cold War. But the Bush administration signaled a policy of confrontation with Latin American governments it perceived as anti-American with the 2001 recess appointment of Otto Reich, a veteran of the Iran/Contra campaign to overthrow the Sandinista government in Nicaragua, as Assistant Secretary of Western Hemisphere Affairs, despite the Senate’s refusal to confirm him. Bush followed Reich with Roger Noriega, foreign policy aide to Senator Jesse Helms, as Assistant Secretary through October 2005. Since October 2005 under Asst. Secretary Thomas Shannon, a protégée of Secretary of State Condoleeza Rice and a career diplomat, the rhetoric has been moderated. However, American policy as expressed through the BWH has remained unaccommodating to Cuba, Venezuela and others. Continuing the increased pressure on Cuba following the Helms-Burton Act of 1996, which tightened the economic embargo of Cuba by penalizing foreign companies doing business with Cuba, the Bush Administration established the Commission for Assistance to a Free Cuba within the BWH and further restricted visits and remittances from Cubans living in the US. Despite these efforts and continued funding of anti-Castro exile groups, the Cuban government still appears secure after a peaceful transition from Fidel to his younger brother Raul Castro. The President and BWH have set conditions for a thaw in relations with the new Cuban regime, but these are conditions, political rights and open markets, the present Cuban government is not expected to satisfy. Venezuela, and its socialist President Hugo Chavez, first elected in 1998, has also become an opponent of the United States and a target of the BWH. Asst. Secretary Otto Reich met with the plotters of the 2002 coup to dispose Chavez that ultimately failed, although he claims he did not offer US support. Following Chavez’s victories in internationally certified elections, the recall Referendum of 2003, his reelection as President in 2006, and his defeat in a Referendum to move the country toward a one-party state in 2007, Chavez’s government is not now under any open threat of regime change, although the US and Venezuela continue to battle over influence on other countries. Chavez has initiated an economic alliance, the Bolivarian Alternative for the Americas, which competes for trading ties with the US proposed Free Trade Area of the Americas. Oil revenue fuels Chavez’s assistance to other governments, and Venezuela’s significant oil exports to the US are given as one reason for tolerating Chavez. When Daniel Ortega and a portion of the Sandinistas threatened to return to power in the Nicaraguan election of 2006, it drew opposition from the veterans of the contra campaign in the BWH. So, the US ambassador attempted to influence the elections, just as BWH officials had recently done in Peru, Mexico, Bolivia and Ecuador. Ortega won a sufficient plurality to become President, but has honored the CAFTA trade agreement with the US. Now, there may be a replay in El Salvador, where the leftist FMLN candidate is favored in the March 2009 presidential election. During the Bush Administration, one regime change was achieved in Haiti with the removal of the Aristide government in 2004, with suspicion of American involvement in the arming and training of insurgents in Santa Domingo just over the Haitian border, and in the activities of the civil opposition. The BWH was instrumental in obtaining military participation from Brazil, Canada, Chile and others to restore order in Haiti with US logistical support. The overthrow of the Haitian government also illustrates the state terror consequence of the regime change policy, with the interim government’s police force killing and detaining members and associates of Aristide’s political movement, the Lavalas (see Amnesty International, and a longer report from University of Miami School of Law) (PDF). The basic critique of the confrontation policy is to point to its lack of accomplishments, as years of diplomatic hostility and economic warfare have not achieved regime change in Cuba, and suggest a different policy would achieve better results. Although the specifics vary with circumstances, the opposing principle is engagement. For instance, that more cultural, economic and interpersonal exchanges might change Cuba more than being an enemy that the regime can rally support to itself by opposing. In rebuttal, the neoconservative position is that the leaders of regimes such as Cuba are too evil to redeem and we owe it to the Cuban people, and our own interests, to unwaveringly work to undermine them by constant US pressure. Plan Columbia, with funding now totaling $12 billion, began in the later years of the Clinton administration. After a short reassessment, the Bush administration increased the funding, with the BWH facilitating diplomatically. Most of the assistance has gone to the Columbian military for a coca crop eradication campaign, including aerial spraying, and for a counterinsurgency campaign to disband leftist and rightist paramilitary groups associated with the cocaine trade. Additional funding has gone to Peru and Bolivia for military coca eradication efforts. The Bush administration and others claim that Plan Columbia is succeeding, pointing to a significant reduction in violence, progress in reducing the areas controlled by the leftist FARC, and the increasing popularity of Columbian President Álvaro Uribe, who has been a strong proponent of Plan Columbia. Critics claim the success of Plan Columbia is uneven at best, pointing to the continued immunity for right-wing paramilitaries, and the steady level of coca cultivation and cocaine production, as documented by the UN Office on Drugs and Crime (PDF). In 2007, the Bush administration launched another drug trafficking control program, the Merida Initiative. It features funding to the tune of $400 million, approved June 30, 2008, for the purchase of helicopters, weapons and other equipment by the Mexican army to fight the increasingly violent drug trade in Mexico. Also included is $70 million for 8 countries in Central America and the Caribbean to intercept drug traffic. This program, which is planned to continue for many years, is just beginning, so it is too early to evaluate its results. There are two related lines of criticism of these programs. First is the generic question of the effectiveness of this heavily funded component of the drug war, if the supply of illicit drugs continues to meet US demand. Second, assuming that suppression of the drug trade in these countries is a worthwhile objective, is this largely military effort the right way to approach it? One implementation issue is the complicity in the drug trade of parts of the armed groups the US is funding, parts of the Mexican police and army, and parts of the Columbian army and associated paramilitaries, who may use the program simply to eliminate rivals. Another implementation issue is the inadequate effort to provide financial incentives for farmers to substitute legal crops for coca and other illicit crops. While the vision of a free trade zone of the Americas has not been realized, the US has entered into several trade agreements within the Western Hemisphere, NAFTA with Mexico and Canada under the Clinton administration and CAFTA with four Central American nations and the Dominican Republic, and an as yet unratified trade agreement with Columbia, under the Bush administration. Under the Bush administration, the BWH’s efforts to promote free trade have met opposition from newly elected leftist governments in Argentina, Bolivia, Brazil, Chile, Ecuador, Nicaragua and Uruguay. Brazil also played a leading role opposing US plans to revise World Trade Organization rules in negotiations at Doha and the collapsed talks in Geneva in July 2008.
, and lack of concern about the impact of opening markets to American exports upon small farmers especially, as counterproductive in maintaining governments favorable to the US and its trade policies. Two issues that put the US and its hemispheric neighbors at odds stand out. First, the US demanded that Latin American governments exempt US officials and military from possible persecution under the International Criminal Court or face a cutoff of US military aid, and temporarily suspended military aid to 14 Latin American countries. Second, despite US persuasion and inducements, most nations in the Western Hemisphere opposed or abstained from the US invasion of Iraq: Mexico and Chile opposed the US/British resolution to endorse military action in the UN Security Council, the regional assembly of Caribbean nations (CARICOM) passed a resolution condemning the invasion, and only 4 countries, Dominican Republic, El Salvador, Honduras and Nicaragua, all signatories to CAFTA, participated in the “Coalition of the Willing” during the invasion and occupation of Iraq..
Roger Noriega was Assistant Secretary from March 2003 to October 2005. Born in 1959 in Wichita, Kansas, he received a B.A. from Washburn University in Topeka. After 2 years as staff to Congressman Bob Whittaker (R-Kansas), he worked for the Bureau of Inter-American Affairs from 1986 through 1994, including a year as Alternative US Representative to the OAS. Noriega returned to Capital Hill from 1994 to 2000, becoming senior staff to Jesse Helms, the conservative chair of the Senate Foreign Relations Committee. He was US Permanent Representative to the OAS from 2001 to 2003, before becoming Assistant Secretary. Noriega is now a fellow at the conservative American Enterprise Institute. Otto Reich became Assistant Secretary through a recess appointment by President Bush in December 2001. Born in 1945 in Havana, son of an Austrian Jewish father and a Cuban mother, he fled Cuba with his family in 1960. Reich received a B.A. in international studies from the University of North Carolina and a Master’s in Latin American studies from Georgetown University. He held various public service jobs, including Community Development Director for the City of Miami and Congressional staff assistant. In 1981, he became Assistant Administrator of the US Agency for International Development in charge of assistance to Latin America. From 1983 to 1986, Reich established and headed the Office for Public Diplomacy for Latin American and the Caribbean (OPD), which sought to influence public opinion and spur Congress to fund the Reagan administration’s campaign against the Nicaraguan government. The OPD was criticized by the House Foreign Affairs Committee and the Comptroller General for engaging in “prohibited covert propaganda activities, beyond the range of acceptable agency public information activities.” From 1986 to 1989, Reich was Ambassador to Venezuela. From 1989 to 2001, he was a corporate lobbyist. Following Reich’s year as Assistant Secretary of BWH, President Bush appointed him his Special Envoy to the Western Hemisphere, and he also served on the Board of Directors of the School of the Americas. In 2004, Reich left the White House and started his own consulting firm. There have been 28 Secretaries of first Inter-American then Western Hemisphere Affairs from 1944 to 1947 and 1949 to the present. The first (1944-5) was Nelson Rockefeller, later Governor of New York and Vice-President of the United States. Assistant Secretary of State for Western Hemisphere Affairs: Who Is Roberta Jacobson? Roberta S. Jacobson took over as the State Department’s Acting Assistant Secretary for Western Hemisphere Affairs on July 18, 2011. On September 27, President Barack Obama nominated her to be Assistant Secretary. She was finally confirmed by the Senate on March 29, 2012. A Foreign Service officer who has spent her career working on US-Latin American relations, Jacobson had been serving as Principal Deputy Assistant Secretary since December 6, 2010, with responsibility for regional political, security and economic issues. In addition, she is the senior coordinator for the State Department’s “Security Initiatives” in the Western Hemisphere (Merida, CARSI, CBSI, and CSDI). 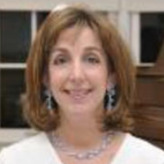 Born circa 1960, Jacobson earned her B.A. from Brown University in 1982, worked for the United Nations Center for Social Development and Humanitarian Affairs from 1982 to 1984, and returned to school to earn an M.A. in International Relations, concentrating in U.S.-Latin American relations, from the Fletcher School of Law and Diplomacy at Tufts University in 1986. Jacobson entered the State Department in 1986 as a Presidential Management Intern, and was assigned to the National Security Council for a time in 1988. She then began her long career with the Bureau for Western Hemisphere Affairs, working directly for the Assistant Secretary, first as special assistant from 1989 to 1992, and then as executive assistant from 1993 to 1994. Jacobson served as the Bureau’s Coordinator for Cuban Affairs from 1994 to 1996, and from 1996 to 2000, she was Director of the Bureau’s Office of Policy Planning and Coordination, covering issues such as civil-military relations, human rights, foreign assistance, presidential travel and counter-narcotics. Jacobson’s first overseas posting came in 2000, when she was named Deputy Chief of Mission at the U.S. Embassy in Lima, Peru, where she served until December 2002, during the fall of the Alberto Fujimori regime and the creation of the truth and reconciliation commission. Returning stateside, Jacobson served as Director of the Office of Mexican Affairs from December 2002 to June 2007, and as Deputy Assistant Secretary for Canada, Mexico and NAFTA issues from June 2007 until December 2010. Jacobson is the author of articles on “The Committee for the Elimination of Discrimination Against Women” in The United Nations and Human Rights: A Critical Appraisal (Oxford University Press; 1992); “Liberation Theology as a Revolutionary Ideology” (Fletcher Forum, 1986); the changing role of the military in Latin America; and the Jewish community in Argentina under the military government. Jacobson and her husband, Jonathan, have two sons, Gil and Daniel.